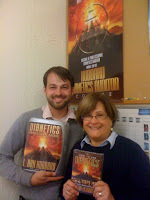 Carol and David both completed the newly revamped Hubbard Dianetics Auditor Course and are ready to supervise you and audit you at the SoMa Mission. Here is what Carol had to say, "I had a wonderful time on the Hubbard Dianetics Auditors Course - with the fantastic new DVD, the step-by-step drills, and LRH's penetrating lectures, has given me the stable data of how to accomplish miracles every time. The materials are not difficult. The techniques are not difficult. I look forward to more wins from my preclears, as well as hearing the wins of the auditors who will be joining me in easing the troubles of family, friends, and the society at large. If you ever have had a moment in time where you wished you could deliver some effective help but hesitated...hesitate no more. Do this course. Have fun. Get effective!" How did Dianetics come into being? N.R completed the Evolution of a Science Book Course. 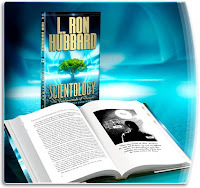 He says, "The basic book Evolution of a Science really helped me understand how Dianetics came into being. Really interesting. I would strongly recommend doing this course at the SoMa Mission. 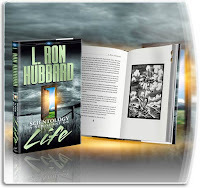 I feel so happy and extremly grateful to L. Ron Hubbard and the SoMa staff." You can have wins like this! Come on down. RW completed Expanded Grade III and says, "You gotta do this grade!! SUCH a relief! Anyone can-do." GM completed The Way to Happiness Book Course. She says, "It made me realize that even though life can get tough, it doesn't mean that when you fall down that's the end of the road. You get up and keep going. When I read this book it made me think not to be close minded and to be positive. My friends and family have seen a change in me. I laugh more and communicate better with people." 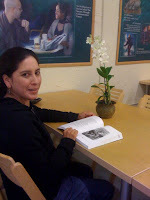 CH completed the book course for Scientology: The Fundamentals of Thought. 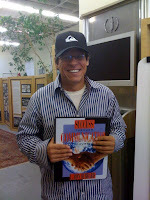 He said, "I have a better understanding of the basics of Scientology and more confidence in what I know in Scientology." DL completed Confessional Auditing. 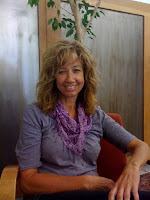 He said, "I enjoyed my auditing very much. It was definitely a turning point for me. I have had a lot of auditing before this point and it was all amazing but this was very therapeutic for me. I now feel like I can look into the past and I don't have to cringe at the mistakes that I have made. This frees up a lot of my attention and allows me to go out there and live! My love for myself and others grew so much. It created the kind of effect that I think L. Ron Hubbard would have wanted for me. Thanks Ron. You are a true friend." 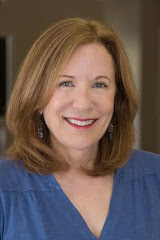 Elaine completed The Way to Happiness Book Course and says, "I feel the precepts of this course have made me aware that I can chart my own course instead of heading aimlessly along life's path. I have perimeters and a clearer destination ahead." NR had a success on a drill on the Success Through Communication Course. He says, "­This is amazing. I recently had been addressing “my” thetan (Scientology term for the person himself as a spiritual being) as a separate “thing”. Like my car, home, dog, career, a past moment or something in the future. Basically as “a thing”. Not in me, not me but some undefined thing that required little attention or concern. I kind of had a strong feeling that there was more to me than just my body but had rarely accessed it throughout my lifetime. I know that I have been guided by “me/thetan/I” all my life. In the most happy moments and most difficult moments because I have always had a strong sense of knowingness that I was okay and more importantly that everything was and is okay, in an eternal way. That I am a good thetan, have been before and will be again. This makes me smile. Can a thetan smile? I am. Okay so I have on July 1, 2009 met my first other thetan in present time. I know exactly what happened as I sat there being with/interacting, saying “hello” to another thetan. The room dissolved around me and a warmth came upon my body that I have never felt before, never! Then I viewed, not with my eyes, I viewed the other thetan and thought “So there is a thetan- how cool!”. I have never in this lifetime interacted with another thetan. The funny thing is I knew I was being with a thetan, no doubt. I must have met thetans before many times and forgotten. I remember the experience has always been ground breaking/life altering. Today my life has changed for that I am eternally grateful to the thetan known as LRH, Scientology and the thetan known as David. So this is me, the “I’! Sitting here I feel overwhelmed for a second. I know this is the greatest day in my life. I met the “me” that I have been searching for, traveling the world, searching high and low- and all the time I was here, me! 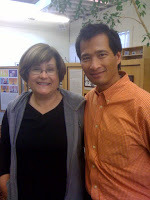 My course room supervisor at the SoMa Mission, 566 Folsom Street, between the hours of 3:15-500 pm on July 1, 2009! David provided the space to allow me to be fully present/actualized! Thank you as I move forward as a thetan! Great meeting another one, what an infinite gift I have received and I must say I really enjoyed meeting the first other thetan in this life cycle. The important thing to communicate is that David knew what I was experiencing and let me experience it. Then we talked about what had occurred and how remarkable it was!!! Sure is fun meeting another thetan, thetan to thetan!"